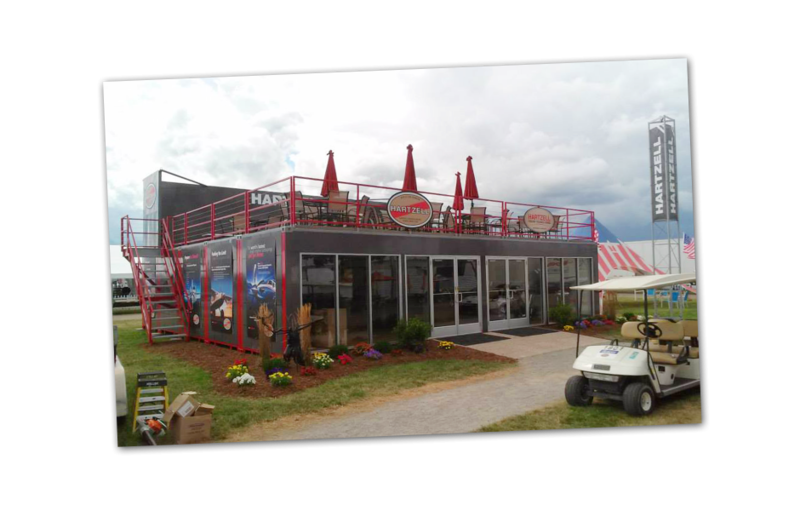 Each year, the largest gathering of experimental flyers congregate in Oshkosh Wisconsin for an event called “AirVenture.” It’s more than an air and trade show. It’s a small city of aviation that springs up in one week and is down the next. 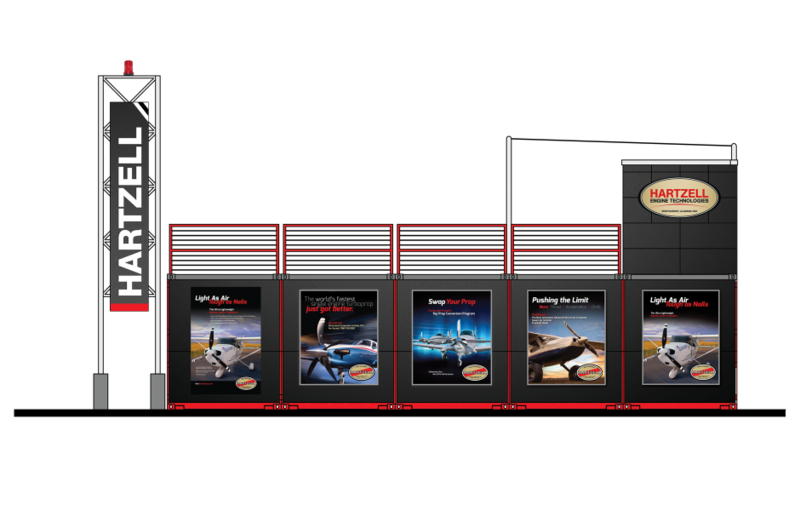 Our client, Hartzell Propeller is the world leader in experimental aircraft propellers, so it was necessary that they had a substantial presence at the show that reflected their position in the industry. 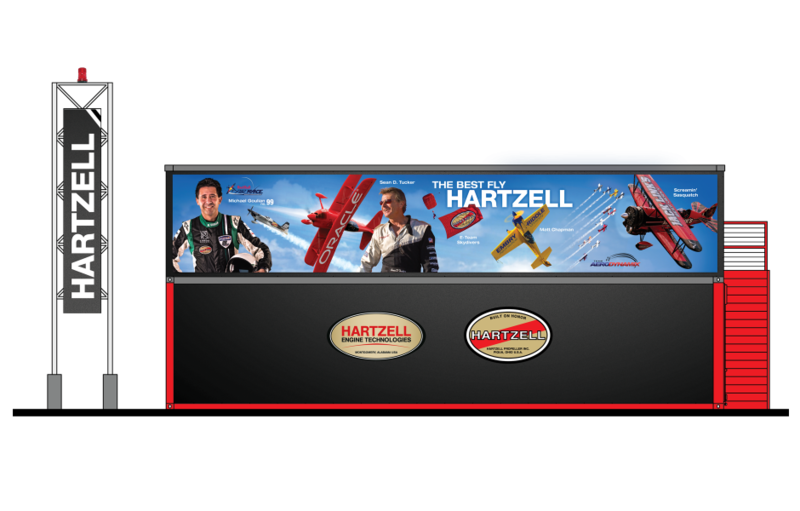 Hartzell tasked The Ohlmann Group to design the environmental graphics for a display center which would not only show the Hartzell line of products, but also give AirVenture attendees a place to meet and congregate. 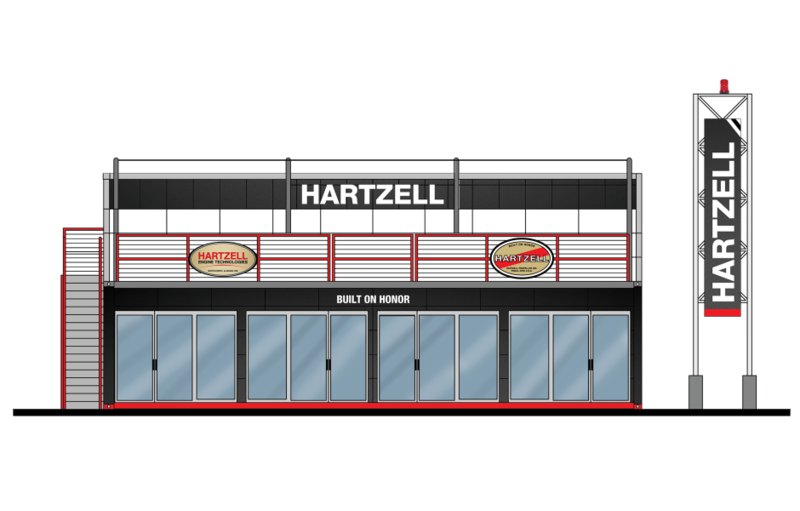 The result was this massive self-standing structure that featured Hartzell product displays, a massive billboard that paid tribute to their aviation heritage and a second-floor “Flight Deck” where visitors could relax after a long day.